A-1 Concrete Leveling Colorado Springs provides a quicker and lower cost option to concrete step leveling and repair over the expensive removal and re-pouring of new concrete. Our concrete leveling experts can lift and restore uneven steps, transforming unsafe, cracked and sunken concrete steps into safe, stable surfaces that can be walked on immediately when the project is complete. 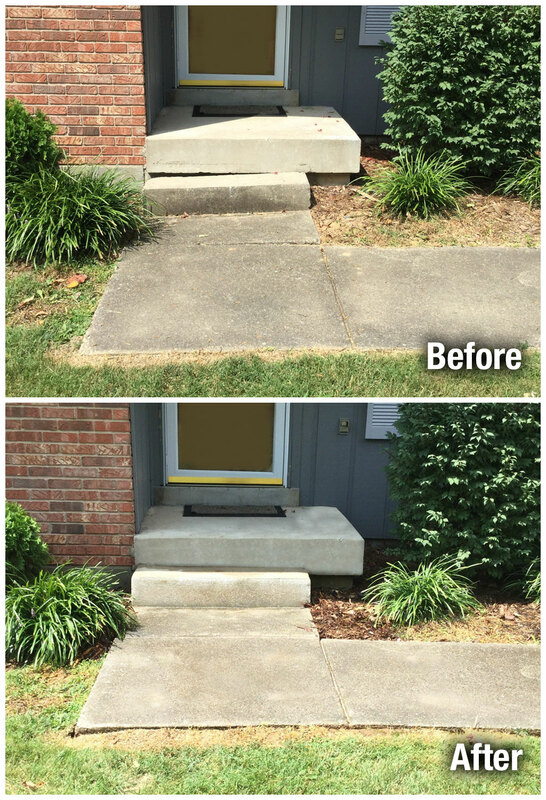 Whatever the level of damage, we can use various concrete step repair methods are very effective alternatives to the expense of tearing out and replacing your concrete steps. A typical step repair and leveling project can be completed in far less time and with far less equipment than traditional tear out and replacement of concrete. In most cases, these projects can be completed in a matter of hours. We will explain the process to you so that you will know what to expect during your steps repair project from the beginning stages to its completion. Our fully insured concrete repair and leveling contractors utilize a safe and extremely effective, highly dense limestone aggregate slurry ideal for many step leveling applications. We also provide concrete caulking and application of concrete surface sealer that hardens your steps and protects them against stains and surface deterioration. 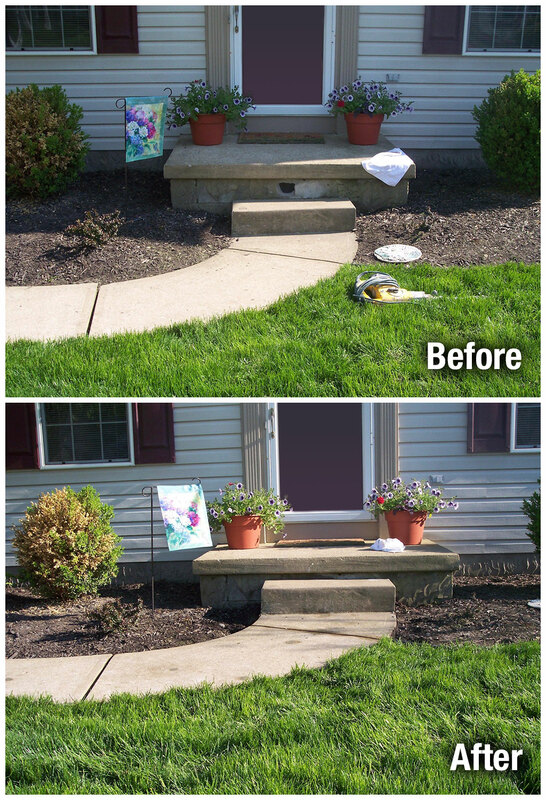 Our process avoids unsightly patchwork repair, leaving a beautiful visual appearance. Concrete steps are typically ready to use immediately. 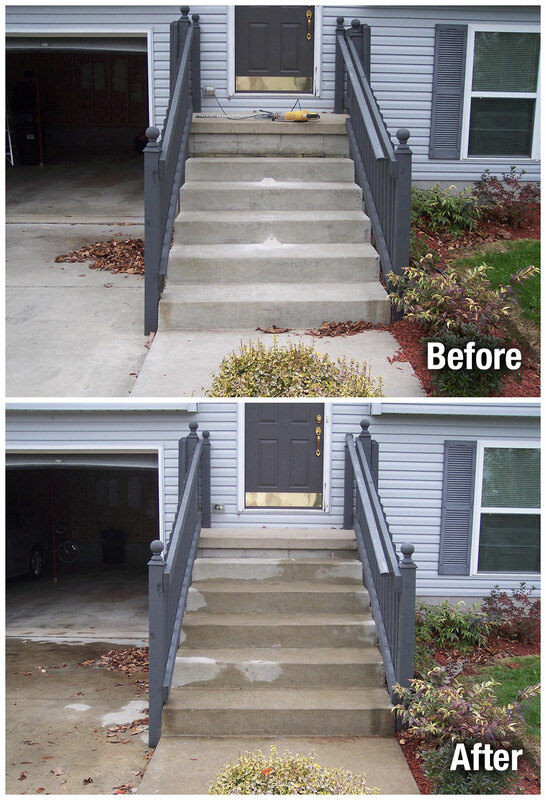 Our concrete steps repair and leveling team can handle even multiple areas of steps in one location.